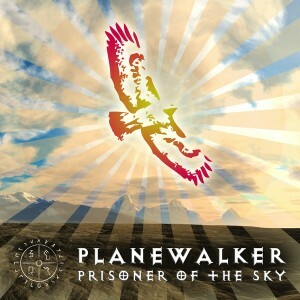 As Planewalker’s first serious foray into bass music, Prisoner Of The Sky takes inspiration from his native New Mexico landscape with big vistas and rolling clouds to produce a release with serious soul and authenticity. Starting off with Mantra Modulation, a serious Bollywood beat with aggressive baselines, strange instruments, and his vocal rendition of master yogi Swami Shyam’s mantra Amaram Hum Madhuram Hum, this track was a huge hit in the sacred bass scene and continues to rock dance floors across the world. After that, the release lightens up with Prisoner Of The Sky, a relatively light and airy piece with a beautiful exotic feel. The music then takes a darker turn with Wuzdat Wobble, a dark psychedelic dub piece with a Mellotron flute hook. The story comes to an ends with the heavy metal-inspired Das Uber Whaumpf, featuring Planewalker’s original rhythm and lead guitar work with enough distortion to get your head banging like a proper 80s rocker. In summary, this release has a worldly flavor with a little bit of shred to keep you on your toes. It shows that Planewalker can make broken beats with just as much grace as he makes trance. MP3 Download | FLAC Download | WAV Download · Download count: 5,090. Thank you Alex for putting this one up! Everyone please enjoy and please consider me for shows and festivals this summer. You can reach me on Facebook. Just search for “Planewalker Epsylon” and you will find me. BOOM! Strange, intriguing and unique. Hmmm…. Good work, guys!! Nope – no samples or loops from old Peru stuff – all original composition using virtual instruments. @Planewalker – yes you’re right – I’ve posted the comment on the wrong album… doh! Eitherway, nice stuff! the guitar in the last track is too dry and could have been tuned muuuch better. Ruins what could have been crunchy and badass.